Create the drama you desire regardless of your destination. 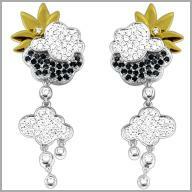 These spectacular weather earrings are crafted in your choice of polished 14K white & yellow gold. 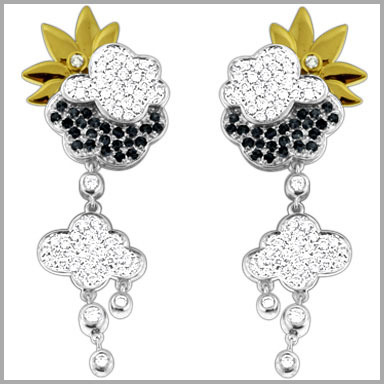 The cloud design features 58 full round cut diamonds in prong settings& 1 diamond light cape. The total diamond weight is approximately 2.004 ct with a color of H and a clarity of SI. They also have 48 blue sapphires with a total weight of 1056 ct.